On Thanksgiving we all get to set aside some time to reflect and be thankful. To be grateful. To count our blessings and feel lucky for what we have. Hopefully you can give thanks for your health, your loved ones, your many achievements and opportunities. But how about your pets? Let’s all vow to give a special moment this holiday season to give thanks for our furry friends, for the unique love they provide, and the countless ways in which they enrich our lives. We at Adopt-a-Pet.com are so thankful for the incredible work you all do to help animals! We appreciate our community of animal lovers, and most of all, we’re grateful for the amazing animals who make us whole and happy. 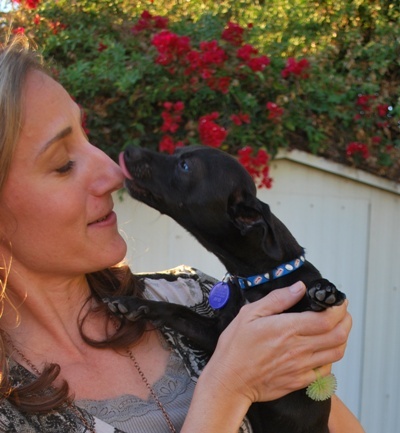 So, without further ado, here are 10 reasons to be grateful for pets this Thanksgiving! #1 They make us laugh. Pets are always finding new ways to make us chuckle! Animals offer so much humor, and whenever a new pet is adopted or there is a new foster dog or cat to bring in, we find ourselves in stitches over their hilarious antics! All pets have their own personalities, their own jokes, and their own way of being funny. Thank you to our four-legged friends for keeping us cracking up! #2 They keep us present. Animals don’t live in the past or in the future. They’re present. They’re like little furry Buddhas walking around! They remind us to be mindful, to take deep breaths, to let go of past or future moments and be in the now. We thank our pets for reminding us that the present is a gift. #3 They keep us company. Who doesn’t love a good snuggle buddy to enjoy a good movie with? Pets make fantastic friends because they are simply masters in loyalty and companionship. It’s hard to be lonely when you have a devoted pal to spend your time with. We appreciate our furry friends for their incredible friendship. #4 They give us purpose. Helping homeless pets feels good. It feels right. It feels worthy and meaningful because it is in fact worthy and meaningful. Because regardless of how you do it or how much time you have to share, giving back to animals is a wonderful way to volunteer and be of service. We’re thankful to help animals and in turn be given a mission we can believe in. #5 They make great teachers. They’re non-judgemental. We can make mistakes in front of them and they don’t mind. They’re always there to lick away a tear or cuddle next to us when we need support. Pets allow us to learn as we go, to fail, and to be imperfect – and they love us anyway. We are indebted to animals for accepting us just as we are. #6 They keep us active. Because they need regular walks, play time, and socialization in order to keep both mentally and physically stimulated, our pets keep us active! Dogs make terrific running, walking, or hiking buddies. Cats love to play! By providing bunnies with a safe and enclosed area to frolic in outside, rabbits can encourage us to soak up some sunshine. Horses pull us towards nature. High fives or high paws to all our pets for keeping us full of life and energy. #7 They challenge us. Some pets are easier than others. Some are a more natural fit for your lifestyle. But we believe all animals deserve a chance at a happy life. We know that there are pets who may need a little more work, effort, or learning on our part in order to thrive. Yet we see time and time again that even pets who challenge us offer tremendous value, and always reward us with as much as we put in. Whether it’s a more difficult pet with behavioral or health issues, a dog who takes extra time to smell the grass on a walk, or a kitty who just can’t get where the litterbox is, all animals require consistency, patience, and love from us in order to succeed. We get to become a team with our pets as we work with them. So we tip our hats to all the animals out there who test us and show us what we’re made of. #8 They make us feel like rock stars. Let’s be honest we all love how excited our pets get each and every time we come home! Even when you just step out of the shower, the display of adoration and dedication is good for the ego. Animals aren’t afraid or embarrassed to shower us with love and to show us how much we mean to them. We are so grateful to our fur-kids for making us feel as awesome and interesting as rock stars! #9 They make us better. Our pets improve us in so many ways. Studies show that petting an animal can reduce a person’s heart rate as well as their blood pressure, and animals keep us physically healthier overall because they keep us moving. Also, the endless joy they bring increases our mental health. Lastly, by focusing on positive reinforcement with our pets, we learn to pay attention to what we love about others. It keeps us focusing on the good. Funny enough we find that whatever we focus on grows. Thanks to our pets for all the physical, mental, emotional, and spiritual benefits they grant us. #10 They let live with gratitude. Look at the list above. Please reread #1 – #9. Wow! We thank our own pets and all pets for keeping us thankful. With their help every day can be Thanksgiving. Did you like this article? Spread the gratitude! Click an icon below to share it on Facebook, Twitter, and more!